Learn country guitar techniques and licks with Steve Trovato. 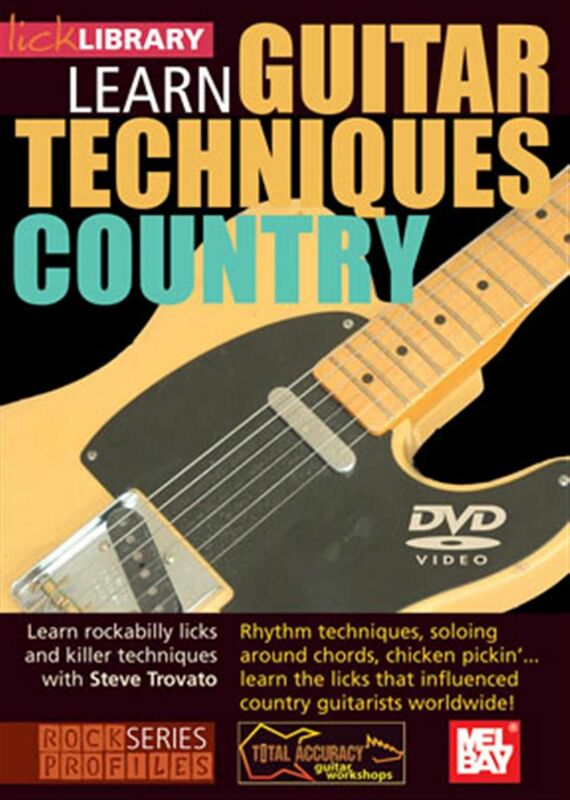 This excellent two hour DVD will teach you some of the guitar techniques that influenced country guitarists worldwide! If you're looking to take your playing to the next level, this DVD will provide you with an arsenal of Albert Lee style licks that you can incorporate into your own solos. Also includes guitar jam tracks.